Barnsley manager Keith Hill has said that he is already looking forward to the next season. Barnsley finished the regular season of the Championship in the 21st position – just a few points ahead of the relegation zone. 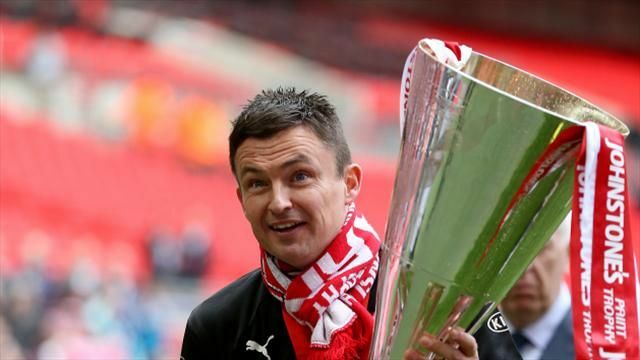 Barnsley could have been relegated from the Championship this season had it not been for the points deduction for Portsmouth. Portsmouth were deducted 10 points, which ultimately helped Barnsley save their Championship status for one more season. As a result of this close escape, Keith Hill has said that he cannot wait for the next season to start. 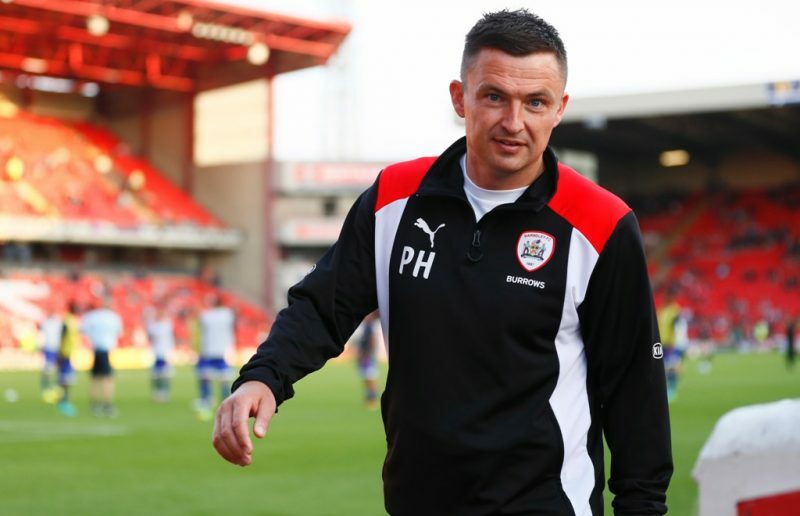 Barnsley are expected to make significant changes to the playing squad in the summer in order to be more competitive. Barnsley’s final match of the season saw them draw against Brighton. The 0-0 draw between the two clubs characterised the entire season for Barnsley according to manager Keith Hill. He said that there was an end of the season feeling to the game. Brighton had a number of chances in the match, but the excellent goalkeeping by Barnsley’s David Button meant that they had to be satisfied with a point. Despite a promising start to the Championship season, Brighton managed only a 10th place finish in the Championship season. “As a manager, the job continues throughout the summer. There’s no real time off. When you consider the calibre of the team coming up and the ones staying in the division, it’s getting increasingly difficult for clubs like Barnsley in the Championship. They’re basically creating a Premier League two and it’s a shame for Barnsley because it’s an honest club. I’m potentially looking to make four or five permanent signings,” Keith Hill said after the match. Portsmouth finished eight points behind Barnsley in the table, and they would have overtaken them had it not been for the points deduction. Barnsley have secured the signing of West Ham United striker Frank Nouble on a loan deal. This would massively strengthen the team given that they have been struggling for goals in recent weeks. It would also help the player, who has found limited first-team opportunities under Sam Allardyce. Frank Nouble arrived from Chelsea a few seasons ago on a free transfer, although West Ham United were made to pay the compensation fee as he was less than 18 years old before he signed his professional contract with West Ham. He was expected to be a major part of the West Ham United squad that was aiming promotion under Sam Allardyce. One of the main reasons for many people to consider Frank Nouble a perfect fit under Sam Allardyce was his physical presence upfront. However, the significant form shown by Carlton Cole has meant that the opportunities for Frank Nouble in the first team has been limited. There have been a lot of rumours in recent weeks that West Ham would consider a loan deal if the right opportunity arises. It seems that Barnsley’s offer for the striker has been too good to turn down by West Ham after they have agreed a one-month loan deal. “It was too good an opportunity to turn down. Nouble gives us options whether it’s starting, or off the bench, and something unpredictable with respect to the opposition,” Manager Keith Hill told the BBC in a recent interview. Barnsley are currently struggling to score goals. Frank Nouble has arrived at a time when Barnsley have just lost 2-0 to leaders Southampton in the latest defeat for the club. They have not managed a single win in almost a month, which has put their club under relegation trouble. Barnsley are currently 17th in the Championship table. Barnsley manager Keith Hill has warned his side that Birmingham will prove to be a tough side to beat even without their key striker Nikola Zigic. Zigic has been on exceptional form, scoring four goals in the Blues recent defeat of Leeds but he has been out with a knee injury since then and will not appear in this weekend’s game. Birmingham have not slowed without him though, having won seven of their last eight games and climbing to third in the Championship table. Hill sees the scale of the challenge facing Barnsley and is aware that his defenders will have to be on top form to keep Birmingham at bay. Having conceded more goals this season than all bar two teams in the division(Ipswich and Peterborough) it will take a significant improvements on recent defensive frailties which have seen the Tykes fail to keep a clean sheet in 13 games. Hill is frustrated by outsiders claiming a new goal scorer is the answer to Barnsley’s woes since the departure of Ricardo Vaz Te. He points out that consistently his side have scored plenty of goals but consistently conceded too many too. In the long term he is demanding a removal of the “it’s OK to concede goals mentality” as he puts it, and is considering bringing in new defenders in the future if the problem is not fixed soon. Barnsley welcome back defenders Scott Golbourne, Jay McEvely and Jim O’Brien for the Birmingham game, giving them more options at the back should they wish to shake things up a bit. The task for one of the most generous defences in the division will be a tough one against one of the league’s most impressive attacks. Whichever way this game goes Barnsley’s record more or less guarantees one thing. There will almost certainly be goals. Barnsley have said that they had no option but to let star striker Ricardo Vaz Te leave in the January transfer window. Ricardo Vaz Te left the club in favour of West Ham United after being enticed with the opportunity to play in the Premier league once again next season – West Ham United are one of the promotion chasing teams this season. They are currently at the top of the table, and thus will have the opportunity to play in the Premier league automatically next season. Ricardo Vaz Te is perhaps best known for his time at Bolton Wanderers when he played under current West Ham United manager Sam Allardyce. The Portuguese player has moved to West Ham United on an undisclosed fee, but it is thought to be quite a lot of money. As a result, Barnsley have expressed delight to the fact that they could now spend that money on strengthening the team in the summer. Barnsley also have revealed that they made every possible effort to try to keep Vaz Te, but ultimately couldn’t stop him from moving to Upton Park. This even included a much improved contract offer on the table. Barnsley will be facing one of the crucial fixtures at the start of the New Year, as they prepare to welcome Leeds United. Leeds United come on the back of the poor run of form, which has seen them drop out of the play-offs position. As a result, pressure on their manager Simon Grayson has intensified in recent weeks. Many are expecting Simon Grayson to be sacked shortly if results do not improve given that Leeds united had the target of getting promotion this season. Simon Grayson is definitely not helped by the huge injury list for the visit to Barnsley, who are lying 16th in the table. Even though they may not appear to be a major threat for Leeds united going by the position on the table, Barnsley are just five points behind Leeds United. They have the capacity to win against Leeds given that there will be ushered on by their home fans. However, Barnsley themselves are not doing well at the moment. They have suffered three straight defeats on the bounce. The defeat against Ipswich in a 5-3 match would have been hard to take, but not as hard as the 1-0 defeat against West Ham and the 1-3 defeat against Barnsley. “Tom took a nasty knock to the head and he’s still being analysed by the doctors. He’s not trained since and we’re hopeful he’ll be fit but we’ve got to make sure he’s 100 per cent ready and given the all-clear first. Bringing Alex back strengthens our options and ensures we have a player who can step straight in if needed,” Simon Grayson said ahead of the match with Barnsley. He will be making a number of changes to the Leeds team in order to cope up with the injuries, which may provide a great opportunity for Barnsley.